Energized drumming and dancing blended with Highlife music makes them unique! Theo Nii Martey formed the Akwaaba Traditional African Drum and Dance Ensemble during a tour with Brekete Ensemble in London. 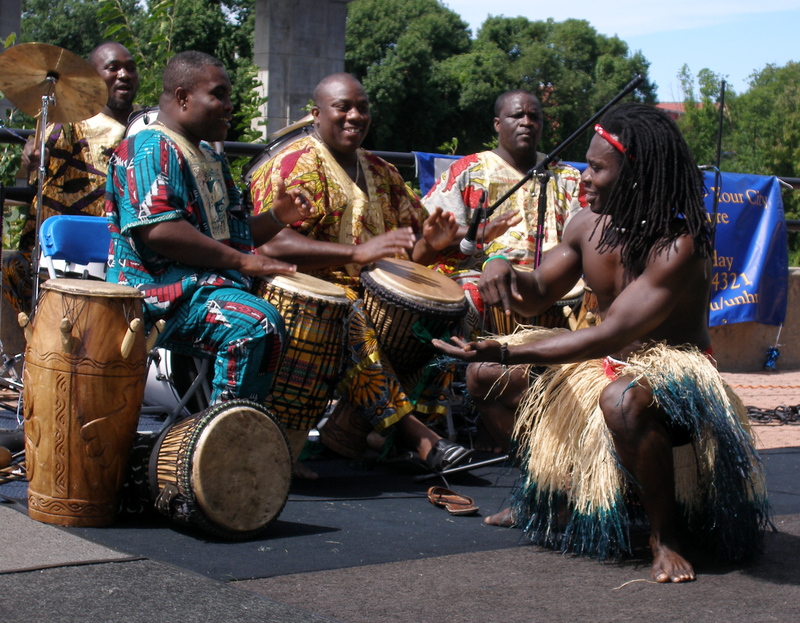 It brings together a group of friends who have been drumming and dancing together for many years in Ghana and the UK. The group includes past members of the National Dance Ensemble, Brekete Ensemble and the Shidaa cultural troupe. The Akwaaba Ensemble’s energetic and engaging performances are a reflection of their name, which means ‘welcome’ in the Twi language of the Ashanti tribe of Ghana. At each performance the Ensemble brings Highlife music, West African drumming and dance to vivid life. Audiences agree that their performances are “overwhelmingly positive. Once you hear their music, you can’t resist moving”. For the past 17 years, the Ensemble has toured internationally and performed on many stages in the United States, Mexico, Canada, Ireland and the United Kingdom. They perform at theaters, fairs, festivals, weddings, school settings, Drumming and Dancing workshops in the community, and often collaborate with other musicians. The goal of the group is to produce extraordinary music and great performances that enlighten the audience about African Culture and Music. 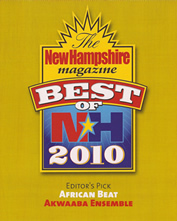 They dubbed their first album “Akwaaba Welcome Home” in 2008.